So I got this Facebook message a week or two ago promising me that I wasn't be stalked but that someone was looking for me. Apparently, they had seen my blog and thought my work was "fan-freaking-tastic" and asked if I'd be willing to be a guest blogger for them. After trying to figure out why they didn't just email me, I realized that I was not making myself accessible for opportunities like this. I took three actions, checked out a site that in all honesty I knew about but forgot about (shame on me), accepted the offer and updated my blog to include my email address - duh! Sooooooo, I am excited to be blogging for Scrapbook Steals.com today. Did you know that they not only have great daily deals but they have an inspiration blog too? If you came here from the blog, WELCOME! Anyway, today I am showcasing my love of Mr. Huey mists. I really enjoy getting dirty with paint and mists and such but it doesn’t always have to be make a mess, nor should it be intimidating, like many people think. They asked me to share a few scrapbooking ideas and tips with you to show you just how fun the misting technique can be. I’ve been playing with mists for years but I fell in love with Mr. Huey mists last year after attending Kelly Purkey’s misting techniques class at CKC Houston. Let's jump into my first scrapbook layout...I pulled out my favorite go-to kit club stash from Scrapbook Circle and I laid out all of my papers, photos and elements to figure out where I wanted everything arranged and then I took a visual picture in my head, removed everything from the page and spray misted with brown in the 3 spots you see below. I then pulled the nozzle out of the bottle and flicked blue mist onto the page over the brown to give it a splattered look. Scrapbook supplies: from Scrapbook Circle Remember This February 2012 kit - Crate Paper Love Letter paper, October Afternoon Farmhouse Flower Sack, Crate Paper Farmhouse Alpha Sticker Sheet, Whisker Graphics Chevron Aqua Bag, Elle's Studio Lil Snippets Treasured tag sheet, Yellow Twine, Whisker Graphics Large White Tag, My Mind's Eye Be Amazing Button Card. 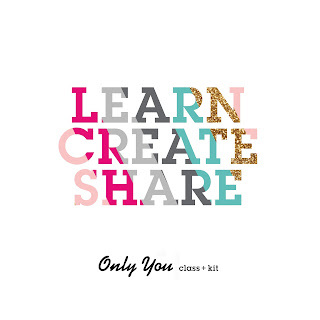 Scrapbook Circle Be Amazing Kit Add-on - My Mind's Eye Be Amazing 12 x 12 Chipboard, My Mind's Eye Be Amazing Brads, My Mind's Eye Be Amazing 6x6 pad (hexagon paper). Not included in the kit Mr. Huey Calico Classic Calico and Bonny Blue, Chocolate Zig Pen, jute twine. 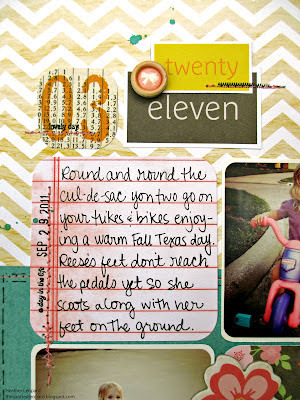 I’m also a fan of making things pop on the page so I used foam squares to lift different elements off the page. Some but not all of the hexagons, word banners and embellishments are popped. For my 2nd page, I chose to scale back a little with the mist but it’s still an important part of the story. 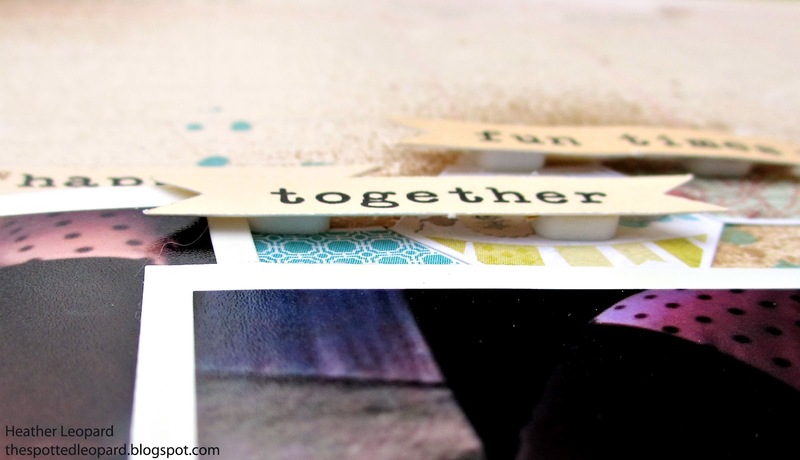 Scrapbooking Supplies: Scrapbook Circle Best. Day. Ever. 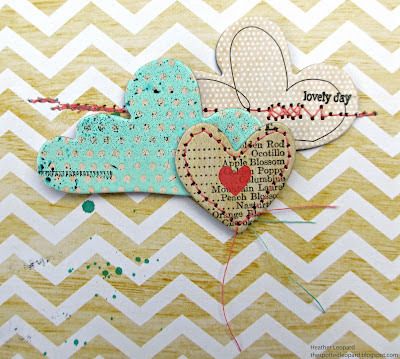 kit - Dear Lizzy Cheerful Notes, Dear Lizzy Neapolitan At First Sight paper, Dear Lizzy Neapolitan Sunny Skip paper. Scrapbook Circle Scatter Sunshine Add-on - Dear Lizzy Date Roller, Dear Lizzy Neapolitan Printed Chipboard Shapes. 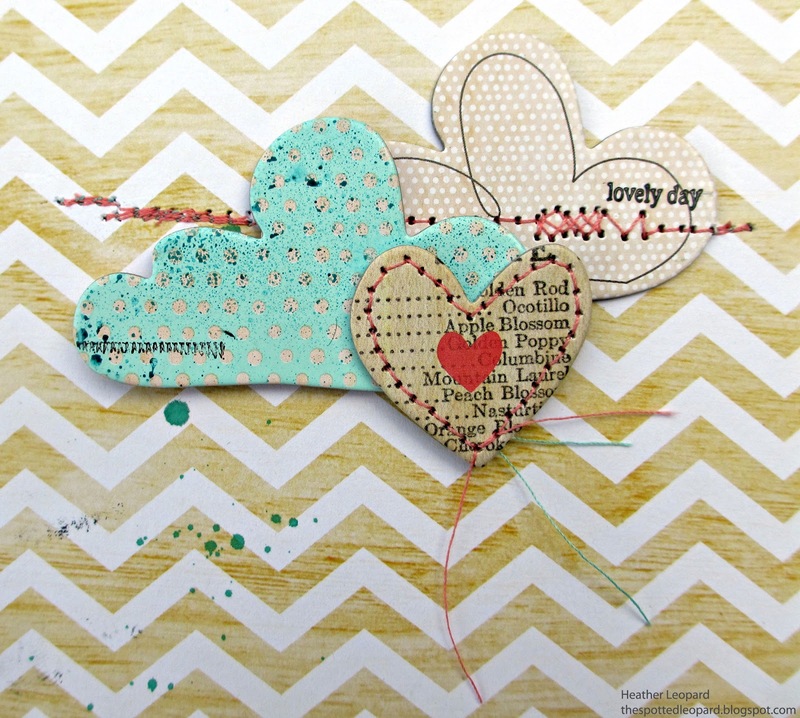 Not in kit: Dear Lizzy Neapolitan Hazy Horizon paper, Dear Lizzy Neapolitan Buttons & Accents, Dear Lizzy Neapolitan Fair Ribbon, Dear Lizzy Neapolitan Letter Stickers, American Crafts Thickers, Core'dinations Color Core Cardstock, Mr. Huey Bonny Blue, Sew Stamper, Black Zig Pen. These are Instagram photos with a filter to make them look vintagy so the splatter effect was called for again here. Usually I will do the splatter on my foundation piece before I start layering everything but since I was going for an aged look, I adhered all the papers first and then misted, hoping a few splatters would land on the different papers. I then added the photos. I knew I wanted to add clouds to the top right corner of the layout so I flicked a little blue mist over there before I stitched the clouds to the paper. Also, the blue cloud was much brighter than I wanted so I toned down the color by spraying blue mist over it. Then I placed it so that the mist splatter would look like rain coming from it. It was a gorgeous fall day but I liked the rain effect. • I use an old 13x13x5-ish box handy for all my misting projects. I just put the paper or item in the box and mist away. This protects everything around me from getting mist on it. It’s fun to look at your box each time because you can see traces of all your projects in there. • Use a stencil, die-cut or negative image from a die-cut to create a mask for misting. • Use a stencil or die-cut and instead of using it as a mask, mist it up and press it over your project like you would a stamp. Lift to see your image. • The possibilities are endless. You will learn by experimenting. Of course you’ll want to use practice paper if you are new to the world of misting. • Last tip is to DON'T STRESS and HAVE FUN! Thanks for stopping by today. If my pages and tips inspired you, and you are in the market for some FAB misting products, check out today's Scrapbook Steal deal on them. congrats on your new opportunity!! LOVE your layouts! CONGRATS!!! They are an amazing company!! I got to meet them at CHA...and they are wonderful!! I loveeeeeeeee your lo's!! Just gorgeous! Love the hexagons! Your misting tips are great, too. 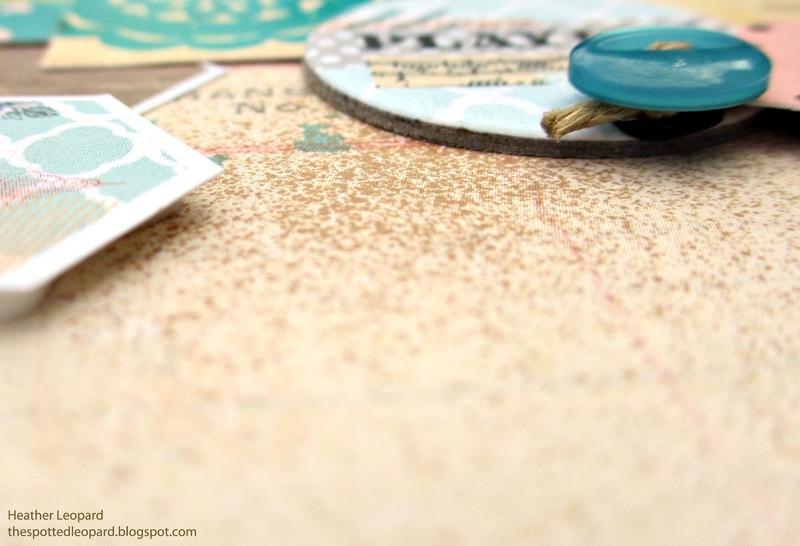 I have a bunch of stamps I never use, but misting with them could be fun! I'll have to give it a try now! 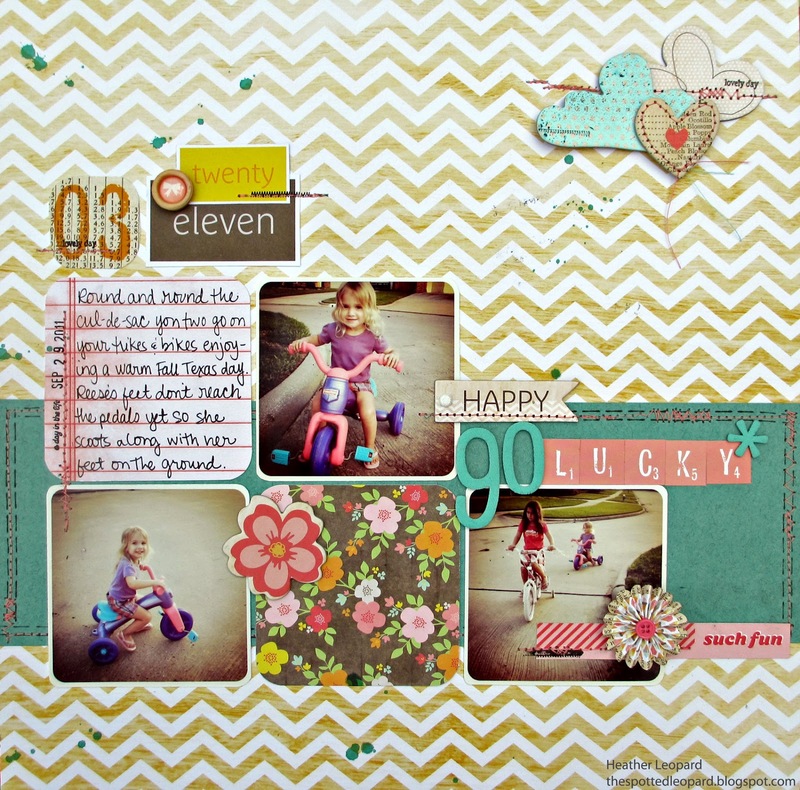 Scrapbook Steals has a blog? I had no idea! Talk about a great opportunity and talk about some super fabulous layouts you created using the mists. I especially adore the "backseat driver" layout, and the random stitching on the 2nd one. Fantabulous!! !